Ole Gunnar Solskjaer looks keen to keep on promoting the club’s academy players next season. The Norwegian recently got the Manchester United job on a permanent basis following an impressive spell as caretaker boss, during which he showed a willingness to trust youngsters in the first team. United have a number of exciting prospects coming through, including Tahith Chong, Mason Greenwood, Angel Gomes and James Garner, and all of those players have moved closer to the first team under Solskjaer. 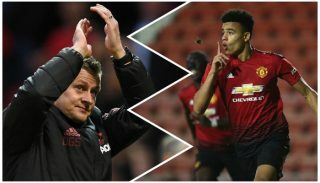 The Telegraph links United with moves for Jadon Sancho and Aaron Wan-Bissaka, who fit Solskjaer’s age profile for players he wants part of his team. While the Mail reckons £35 million could be spent on the 21-year-old Crystal Palace full-back and The Independent believes United would have to fork out £100 million to sign Borussia Dortmund’s Sancho. Everything here suggests Solskjaer will build his United team around youth, with a combination of the best talent from elsewhere brought in to mix with exciting talents coming through the academy. This also makes it clear to other academy players to keep fighting. Their chance will come if they’re good enough, as seen with Scott McTominay, who performed brilliantly in the second leg win against Paris Saint-Germain in the Champions League last 16. Moreover, I think this is what Manchester United fans want to hear, as we take great pride in watching young players get a chance and become better footballers. It definitely fits in with Solskjaer’s style of management.